Some 3 weeks back, I was invited to the media launch of Yakult Health Foods (YHF) in Singapore. A part of the Yakult group, more commonly known for it's well received probiotics drink that we are all so familiar with, YHF was established to implement the Yakult group's corporate mission of contributing to the health and happiness of every person around the world. And, they wanted to do this via health foods. Being a huge fan of the Yakult drink, I was keen to find out what's in store for us. When one mentions health foods, vitamins and other supplements come to mind. 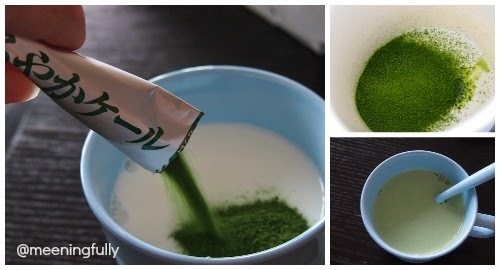 In addition, YHF manufactures and sells the Japanese health drink aojiru or green juice. In this case, it's the Maroyaka Kale. Kale is fast gaining popularity due to it's high nutritious content as well as it's anti-cancer properties. YHF's Maroyaka Kale is grown in special soil by contract farmers in the Kunisaki Peninsula in the Oita Prefecture. Carefully cultivated, the kale is free of pesticides , carefully squeezed and processed on the same day it is harvested for freshness. High in beta-carotene and calcium ,YHF's Maroyaka Kale is highly recommended to those who frequently eat out and concerned about low vegetable consumption. That sure sounds like me! 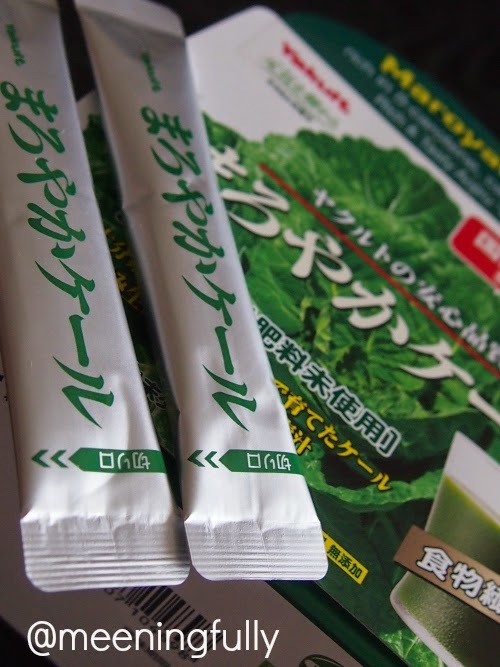 Maroyaka Kale is sold in a box of 30 convenient sachets. I am one of those who don't like my greens. However, with age and the fact that I need to encourage my 2 year old to take his vegetables, I try my best. So with a supplement like the Maroyaka Kale, it makes up for what I am lacking. But, I must say the taste does take some getting used to. With water, the Maroyaka Kale tastes like freshly juiced spinach, seriously not very palatable if you dislike any forms of vegetables. I like it in cold milk best as the strong vegetable taste is masked out by that of the milk. You can also drink it in cold water or have it with yoghurt. In fact, I was told it goes really well with ice cream. I guess it would taste like matcha ice-cream? If you lead a busy lifestyle, and sometimes find yourself not eating right, you can perhaps look at the range of supplements YHF has. While they are not replacements for eating healthily, they definitely can help supplement what you are lacking. Marketed by Abeille d'or Pte Ltd, Yakult Health Foods is distributed at Guardian Pharmacies around the island. Products are going at an introductory price from now till end of September, hence it is a good time to give the goodness of the Maroyaka Kale or any of the YHF products a try. 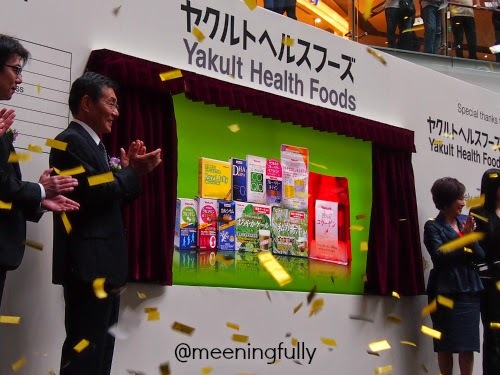 Disclaimer: I was invited to the media launch of Yakult Health Foods in Singapore by AT Marketing Consultancy, and was given a box of Maroyaka Kale for review purpose. Opinions are my own.